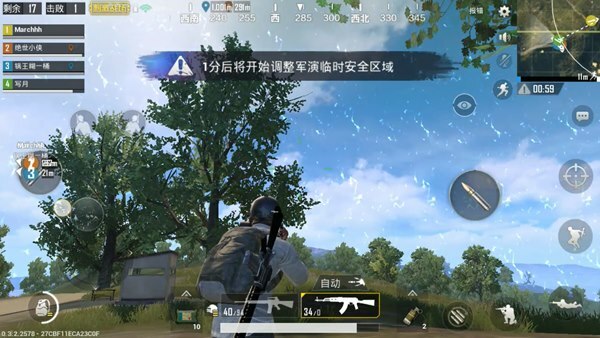 To say that PUBG Mobile: to stimulate the battlefield is a nervous and exciting part of the game, that is, players into the finals. With the reduction of the poison zone, the finals will force all the remaining players into a circle. If players want to stand out in the finals, it is not enough to have good marksmanship and sufficient supplies. You must also understand the finals. The geographical shape. The final round is shrunk into the town. This is what the players call street fighting. There are many bunkers in the street fighting, and it is almost impossible to select guns with other players. Most of the players in the street game will not be rudely rushing on the street, but will observe the other players’ dynamics in the house. Therefore, if you want to win in the street game, you must not only have perfect weapons, but also have more flexibility. Change your mind. The weapon configuration required by the town circle, the rifle must be used as the main weapon, and the other weapon can be selected according to the player’s needs. If the player is a player who just likes to grab, then the submachine gun or shotgun is the best choice; if the player is a sniper, then the sniper rifle is your best partner. In addition, with respect to the requirements of the magnification lens, the 4x lens is more important and can kill the enemy at a long distance. Another important magnification lens is the 2x or red sight, which is mainly used for close combat. The finals dwindle to the ground, including some wheat fields or grasslands. The most important thing is that the flat bottom circle is a hidden issue. After the player enters the ground, he must carefully observe the surrounding environment. If it is a safe situation, he must lie down, which can confuse the vision of other players. During the fall, the player should not be easily tampered with to avoid being noticed by other players. If the player is attacked, he must get up and change the position of a bunker at the fastest speed. Do not feel lucky. The more practical pistols on the flat ground are still rifles because the range of the rifle is too comprehensive. It is the best choice in the flat. The rifle used for close-range shooting is recommended by AKM. The long-range attack rifle recommended M416 and SCAR-L are recommended. If the player finds a Geely clothing or a wheat field suit at an airdrop, the player will have a huge advantage in the flat finals. Fortunately, the player must also be reminded that if the player owns the costume, they will lose the parasol’s pan because the finals Wearing a Geely suit (field suit) with a saucepan in the circle will be noticeable. The so-called slope circle is the final circle with a gradient in the terrain. If this type of terrain player is occupying the high ground, the game will become easier, but if the player wants to climb from a height to a height, it will be very difficult. The player first finds the bunker in the high ground, then observes the opposite direction of the bunker, but do not tamper with and avoid exposing the back to the enemy. If at the foot of the mountain, players can find trees or stones to cover themselves, find the general direction and aiming direction of the enemy according to the third field of vision and sound, wait for an opportunity to sprint to the top of the hill, and do not act rashly. 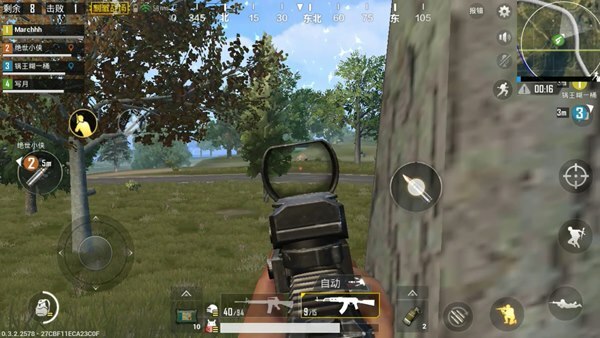 If you are on a high ground, it is recommended that players carry rifles and sniper rifles, find a bunker and then sniper your target with a sniper rifle, and use a rifle to prevent the enemy from making a surprise attack. Yamashita’s players recommend to wear submachine guns and rifles. After discovering the enemy on the mountain, use a rifle to shoot fire. If you charge to the mountain, the submachine gun’s ultra-fast fire speed can suppress the blocker by fire so that you can find another place smoothly during this period. bunker. These are the most common game finalists for players. If the player is skilled, then your dream of eating chicken will not be far away. 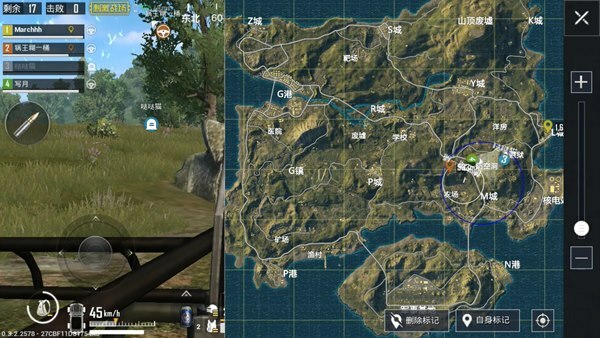 The PUBG Mobile guide must stand up to loneliness in the individual combat.